The Affordable Care Act (“Obamacare”) — the landmark health law passed by Congress in 2010 — has been in the crosshairs of congressional Republicans since even before the law went into effect. Now, with the inauguration of President Donald Trump, for the first time they have a realistic chance to repeal the law and replace it with something else. But what would that “something else” look like? Right now, there isn’t any one plan that Republicans stand united behind, but a few proposals have been offered that may form the basis of a future bill in Congress. (That bill, it’s worth mentioning, would require the support of at least eight Democratic senators to reach the 60-vote threshold needed to overcome a filibuster and win the Senate’s approval.) Here’s what some of the highest-profile Republican plans would do. A plan announced just this week by Senators Susan Collins of Maine and Bill Cassidy of Louisiana would give states the option of keeping the Affordable Care Act in effect — including expanded Medicaid coverage for low-income people, the requirement that most people buy insurance if they don’t have it, subsidies based on income to help people buy individual and family insurance plans, and requirements that insurance companies cover people with preexisting conditions and cover essential health benefits. As a chart by The New York Times shows, states that decide not to keep the current health law would receive the money that otherwise would have gone toward subsidies and Medicaid expansion (they could keep Medicaid expansion if they want) and use this money to auto-enroll uninsured people in high-deductible, limited-benefit catastrophic insurance plans — or let people put this money toward buying more generous insurance plans, paying the difference out of their own pockets. Because this assistance would no longer be based on income, poorer people would probably be able to afford only restrictive plans with very high deductibles, while richer people would receive a subsidy they don’t currently receive. For states that adopt it, the Collins-Cassidy plan would also remove the requirement that insurers offer most essential health benefits, let insurers charge more for people with preexisting conditions if they don’t have continuous insurance coverage, and let insurers charge premiums up to five times higher to their oldest enrollees compared with their youngest (the current law allows charging up to three times as much). States could also reject all funding offered in the plan and offer no assistance to help people get insurance. 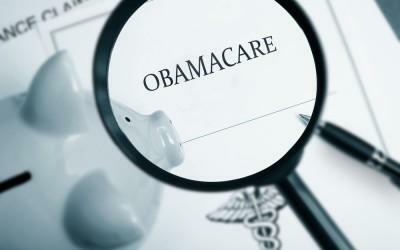 Other proposals that have been offered would not give states the option to keep the Affordable Care Act. As described in a Vox article published last November, these include House Speaker Paul Ryan’s Better Way for Health Care proposal, which would be similar to the Collins-Cassidy plan (other than not letting states keep the Affordable Care Act), but also cut Medicaid funding over time and give the funds to states as block grants with fewer requirements to cover people. As a result, according to an analysis requested by Ryan from the nonpartisan Center for Health and Economy, about 18 million people would lose Medicaid coverage by 2026, with about 14 million of these people enrolling instead in mostly high-deductible private plans. Premiums for individual and family plans would drop by an estimate of between 9% and 35%, but many of these plans would have higher deductibles and fewer benefits than under current law. Another plan outlined in the Vox article — the Patient CARE Act, by Senators Orrin Hatch of Utah and Richard Burr of North Carolina, and Representative Fred Upton of Michigan — is similar to Ryan’s plan, except that it gives more financial assistance to buy insurance to people who earn under 200% of the federal poverty level, with that assistance dropping as incomes rise up to 300% of the poverty level. Both Ryan’s plan, and the Collins-Cassidy plan, would give the same assistance to a low-income person or family as to a billionaire. What do you think of these proposals — do they seem like an improvement to you over the current law? Is it a good idea to encourage lower overall premiums for health insurance, even if this means fewer benefits and higher deductibles? Do you think you’d be better off, worse off, or about the same under these proposals, compared with the current health law? Would you like to see a completely different plan become law? Leave a comment below!